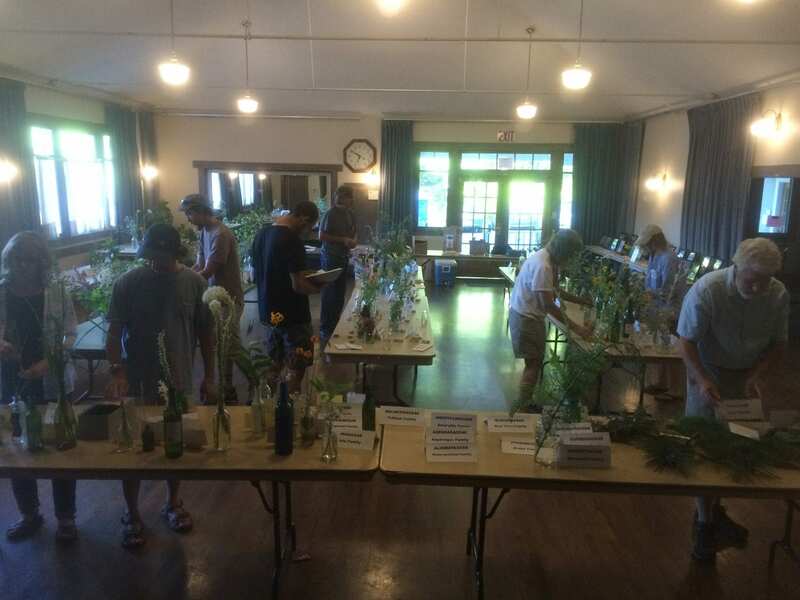 Written by Klamath-Siskiyou Native Seeds on July 1, 2018 . Posted in Uncategorized. Setting up the 4th of July Irene Hollenbeck Memorial Wildflower Show. This Wildflower Show in Ashland features over 300 species of native flowers from the volcanic Cascades, the much older Siskiyous, and the valleys in between. Free admission. Location: Ashland Community Center, 59 Winburn Way (across from Lithia Park in Ashland). Coordinated by the Siskiyou Chapter, NPSO. Come meet some of our beautiful mountain flowers! The wildflower show is a great way to learn more about our local native plants. We are seeking volunteers to help with: flower collecting, show set-up, and plant identification on July 3rd; staffing the show on July 4th; and breaking down the show from 4 to 6 pm. Free pizza and beverages for those who help the evening of July 3rd. For more info contact Barb: bamumblo@gmail.com or 541.890.2091. 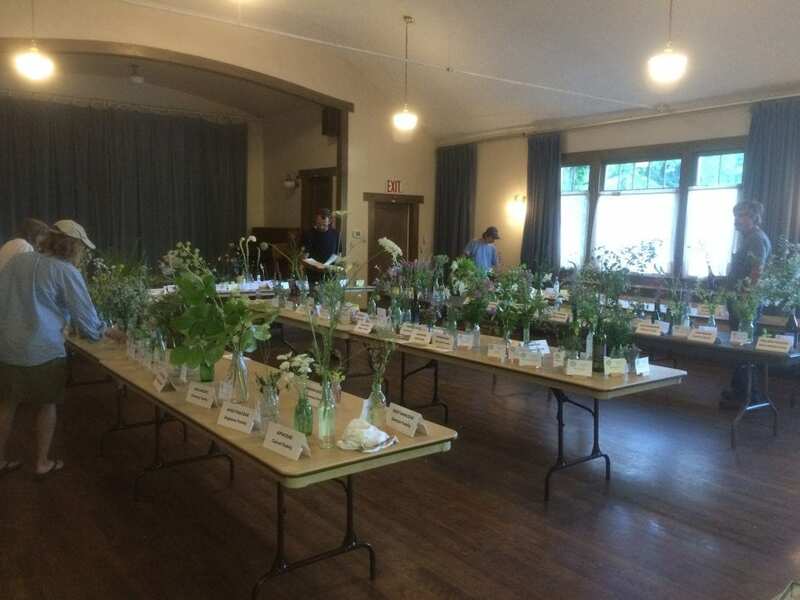 Setting up the 4th of July Irene Hollenbeck Memorial Wildflower Show in Ashland.